Woolpert has hired Eric Dillinger as Vice President and Managing Director of Strategic Consulting, expanding the firm’s planned strategic growth in integrated advisory services for its clients. Woolpert has hired Eric Dillinger as Vice President and Managing Director of Strategic Consulting, expanding the firm’s planned strategic growth in integrated advisory services for its clients. Dillinger, who most recently served as the Vice President of Jacobs Buildings and Infrastructure Americas consultancy practice, has more than 30 years of experience providing planning, design, consulting and advisory services for the infrastructure and built environment. According to Dillinger, Woolpert is the right size and has “the right DNA” for him to expand its strategic consulting business. Woolpert was founded in 1911, with 25 offices nationwide and close to 800 employees. Woolpert Labs is a cross-functional group of industry leaders within the company, focused on discovering new uses for technology and practices that will continue to fuel industry advances in the architecture, engineering and geospatial verticals. 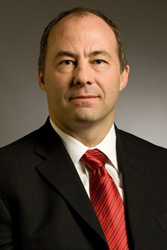 Dillinger holds a degree in industrial engineering from Kansas State University, has written multiple publications regarding asset management and is a member of the IFMA, The Institute of Asset Management, the Society of American Military Engineers and the Airport Council International, among others. Woolpert is the fastest growing architecture, engineering and geospatial (AEG) firm in the country, delivering value to clients in all 50 states and around the world by strategically blending engineering excellence with leading-edge technology and geospatial applications. With a dynamic R&D department, Woolpert works with inventive business partners such as Google and Esri; operates a fleet of planes, sensors and unmanned aircraft systems (UAS); and continually pushes industry boundaries by working with advanced water technologies, asset management, building information modeling (BIM) and sustainable design. Woolpert’s mission is to help its clients progress and become more progressive. For over 100 years - and with 25 offices across the U.S., Woolpert serves federal, state and local governments; private and public companies and universities; energy and transportation departments; and the U.S. Armed Forces. For more information, visit woolpert.com or call 937-531-1258.